In 2011 the CITES appendices deemed Ebony as an endangered wood species. That meant that, without proper documentation, this wood was basically unusable in guitar manufacturing, and getting wood with the right paperwork was difficult. But it was more than that. Ebony has been farmed for years, and the way it was being farmed was not the most environmentally friendly. Essentially, what was happening was that loggers would go out into the forests everyday, cutting down 20-30 ebony trees. 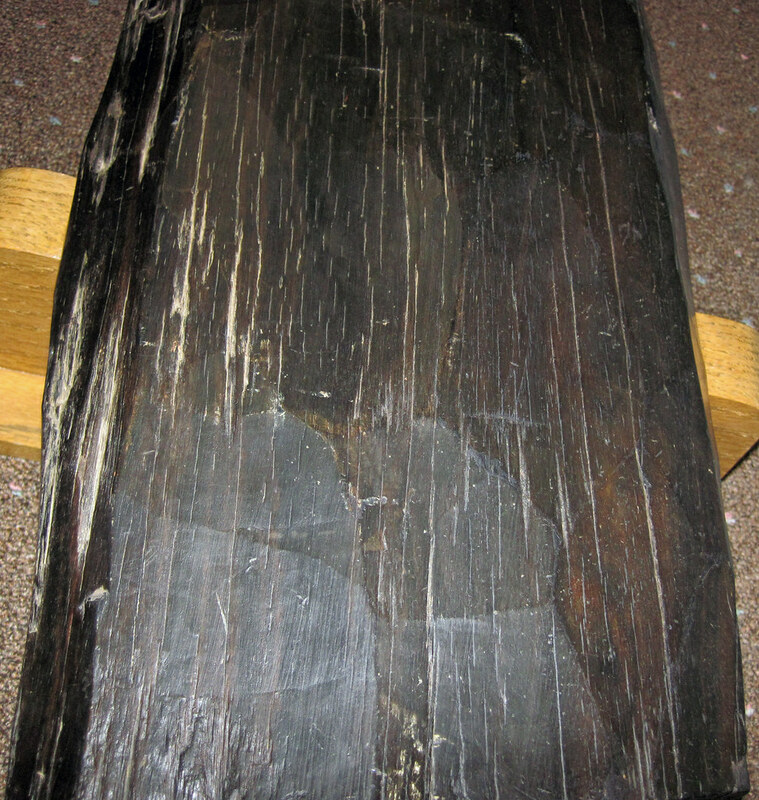 Ebony is a variable wood, and has some dark spots as well as light streaks. Only about 3 of those trees being cut down each day was being used in manufacturing, as they had no irregularities in color. We realize now that those streaks of blonde are quite beautiful, but the realization, and use of all those cut-down trees, came almost too late. The ebony supply was quickly disappearing, and Taylor Guitars has seen this, and is making efforts to restore and preserve our ebony supply. Taylor’s Ebony Project is working towards a “more socially responsible and environmentally sustainable model of sourcing ebony.” In 2011 Taylor Guitars entered a co-ownership of an ebony mill in Cameroon, Africa. In this partnership, not only does Taylor Guitars focus on the ethical and efficient sourcing of the wood, but they are also working on planting new ebony forests. It’s vital that we plant new ebony forests because, as Bob Taylor himself said, “if we don’t replant, we won’t be making guitars in 50 or 100 years.” That may seem far away, but it takes many years for an ebony tree to become mature enough to yield a product. Through ethical growing, sourcing, and ideals Taylor Guitars is helping ensuring the presence of ebony in our future. For more information, and cool videos, on Taylor Gutiar’s Ebony Project, visit their website. Next Next post: Guitar Slides – What? ?